The motoring world is full of acronyms and technobabble. Let's cut through the confusion. Buying a new car involves a great deal of research. You’ll find yourself reading reviews, searching used car listings, and comparing features.But there'll come a point when you hit a wall of jargon and can't make head nor tail of what you're reading. So, when you hear something that doesn’t quite make sense, just check out our jargon buster. The two vertical struts holding either side of the windscreen in place. Anti-lock braking system - an autonomous feature which prevents the car from locking the wheels, improving steering control and reducing the chance of a skid. Adaptive (or autonomous) cruise control is a system which automatically adjusts the speed based on the traffic around the car, keeping it at a safe distance. A safety bag which inflates automatically in the event of a collision, keeping vehicle passengers safe. A suede-like, durable, long-lasting material which usually comes as an optional extra for a car’s interior. A device which converts mechanical energy from the engine into electricity. 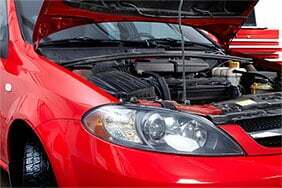 This charges the battery and powers the electrical system when the engine’s running. Opposite of depreciation. When a car's value increases over time. Auxiliary audio connection - an input jack which can connect different media players to the car's stereo. All-wheel drive - engine power is fed to all four wheels, increasing handling, delivering better control when driving off-road. 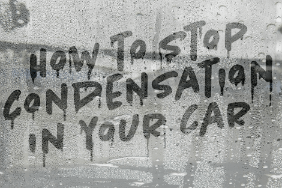 Automatic windscreen wipers - rain-sensing sensor adjusts the speed of the wipers to deal with the amount of rain. Brake horsepower - a measure of the power an engine outputs before frictional losses caused by the gearbox, alternator, and other components. It reflects a car's top speed and maximum rate of acceleration. It is measured in a controlled environment. The vertical struts located between the front and rear side windows. The vehicle frame that holds all other components together. After-market chips are used to tune a car's performance. Carbon dioxide - a car's exhaust emissions, measured in grams produced per kilometre (g/km). The struts running from the roof to the bottom of the car. On smaller cars, the c-pillar is usually the final strut which supports either side of the rear. This is the metal case that houses several engine parts, including the crankshaft. A vehicle which combines the characteristics of a sport utility vehicle (SUV) with the features of a smaller passenger car. A feature which allows the driver to set a constant speed until they decide to intervene. The central working part between the crankcase and the cylinder head in which a piston moves. Digital audio broadcasting - it's a digital alternative to FM/AM radio, which are both analogue. Also known as shock absorbers, these are devices designed to absorb and dampen the shock impulses when travelling. Diesel direct injection - injects fuel directly into the combustion chamber to improve performance and fuel efficiency. Opposite of appreciation - the rate at which a car loses its value. It allows for a car's driven wheels to rotate at different speeds – for example, when turning. Diesel particulate filter - it catches soot particles in the exhaust. Daytime running lights (or lamps) - their purpose is to make the car more visible to other drivers during the daylight hours. The weight of the car without any luggage, passengers, fuel, oil and water. Dynamic stability control - same as ESC. Direct-shift gearbox - Volkswagen Group's electronically-controlled dual clutch (automatic transmission) fitted to Volkswagen, SEAT, Audi and Skoda models. Electronic brakeforce distribution - an autonomous system which controls the amount of force applied to each brake based on road conditions. 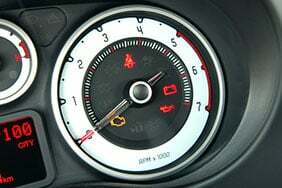 Engine management light - essentially this is the 'check engine' light on your dash. Extended-range electric vehicle - a vehicle which has an internal combustion engine and an electric motor. Electronic stability control - a combination of a car's traction control system and ABS (anti-lock braking system). It uses sensors to take an appropriate action depending on the road conditions. Electronic stability program - same as ESC. The European New Car Assessment Programme - an independent body which carries out safety test on almost all new cars sold in Europe. Flexible-fuel vehicle - vehicle with an internal combustion engine designed to run on more than one fuel. Guaranteed asset protection - type of insurance which covers the difference between the original cost of the car and its value when written off or stolen. 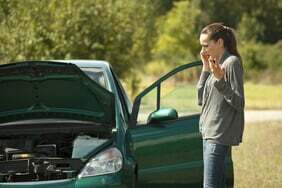 Basically, GAP insurance is cover against depreciation. Grand tourer - performance and high-end vehicles capable of high speed, designed for long-distance driving. Horsepower - measured by connecting the engine to a dynometer, with all the components attached to it. It measures the maximum rate of acceleration and top speed of a car. See also BHP. Hire purchase - a form of finance. See our car finance guide. British vehicle history check service founded in 1938. A vehicle powered by both a petrol (or diesel) engine, and an electric motor or motors. Internal combustion engine - term coined to differentiate the petrol, or diesel, powered vehicles from electric vehicles. A suspension system that allows each wheel on the same axle to move vertically independently of each other. Every car falls into an insurance group from 1 to 50. The lower the group, the cheaper the insurance is likely to be. An intercooler is used to cool the air compressed by either a turbocharger or supercharger before entering the engine. International standards organisation fix - allows you to securely attach a child seat directly to the chassis of the car. The hard connection is made between two or three anchorage points, located within the backseat padding. Intelligent variable valve timing - a system developed by Honda that improves the internal combustion engine's performance and fuel efficiency. The weight of the vehicle without passengers or luggage, but includes fuel, oil and water. See also dry weight. Kilometres per hour - expresses the number of kilometres travelled in one hour. kWh stands for kiloWatt-hour and in electric cars it measures battery capacity. Light emitting diode - LEDs in modern cars are used for brake lights, indicators, daylight running lights and low-beam headlights. They’re more efficient than the conventional filament bulbs. Liquefied petroleum gas - also known as autogas. It’s a mixture of propane and butane and can be used as a fuel in internal combustion engines in vehicles. Long wheelbase refers to the length of a vehicle's chassis. Car manufacturer brand (eg Ford). Miles per gallon - the distance a vehicle can travel using only one gallon of fuel. Mile per hour - expresses the number of miles traveled in one hour. Multi-purpose vehicle - van-sized cars, often referred to as people carriers. Citroën C4 Picasso is a famous example. A car body style where the car has a shorter rear, or the rear window is more upright. 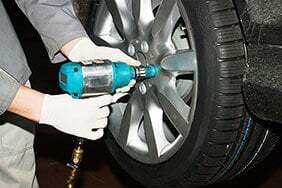 Measures cars' noise, vibration and harshness. An instance where the rear of the car loses grip and it carries on more than the driver intended. Personal contract purchase - see our car finance guide. Plug-in hybrid electric vehicle - hybrid cars with high-capacity batteries. These can be charged by plugging them into an electrical outlet or charging station. A power-assisted hydraulic system which makes steering lighter and easier. PS stands for Pferdestärke - a German word for 'horse strength'. PS is predominantly used by German manufacturers with 1 PS being 0.985 HP. See also HP. A vehicle with a Q plate was either not originally registered in the UK, or proof of age was unavailable at registration. These are cars built using a significant proportion of parts from different sources. A radial tyre (or radial-ply tyre) is a vehicle tyre design which has cord plies arranged at 90 degrees to the direction of travel. Or radially from the centre of the tyre. This results in a better road grip, better steering, a more flexible tyre wall and little heat generated at high speeds. A system which recharges the battery of an electric vehicle while slowing down. All cars fall into a tax band - from A to M, with A being the least expensive. The UK tax band system is currently based on exhaust CO2 emissions. See our guide on tax bands. Revolutions per minute - this is a measure of the number of revolutions completed by the engine one minute. Modern cars have the ability to automatically stop and start to reduce the amount of time the engine spends idling. This reduces fuel consumption and emissions. Superchargers' purpose is to increase the power an engine produces. Superchargers increase the amount of air present in the combustion chamber, so more fuel can be burned, hence creating more power. The suspension is made of the tyres, springs, dampers, wishbones, and connects the car to its wheels. Sports utility vehicle - essentially a big passenger car designed to provide a lot of interior space, large boot capacity, and have a much taller profile. A popular car from this class is the Nissan Qashqai. Traction control system - helps reduce the chance of tyre slip when accelerating on a slippery surface, hence improving road grip. See also ESC. 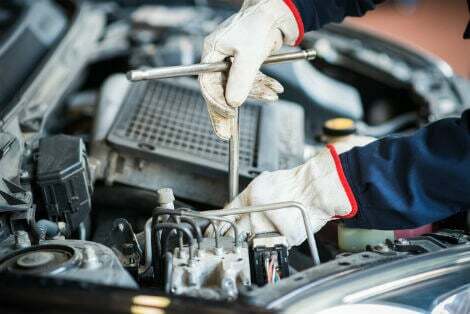 In simplest terms, torque measures how quickly engine power can be transferred to the wheels. So, it measures how quickly a car can accelerate. 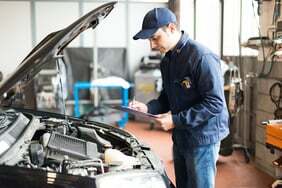 Transmission often refers to whether a car is a manual or automatic (or semi-automatic). Trim levels are different versions of the same car model with different variations of features, equipment and engines. Usually, there's a cheap trim which is very basic, and a high-end trim level which sports all optional extras. Similar to the supercharger, a turbocharger increases engine's efficiency and power output by forcing extra air in the combustion chamber. However, it draws power from exhaust gases that results from combustion. The smallest circle in which a car can turn without reversing or extra manoeuvring. An instance where the car starts to skid in a straight line without turning in the direction a driver intended. See also oversteer . Valves are part of the combustion engine . They open and close to allow the fuel mixture in and the exhaust gases out. Vehicle excise duty - often referred to as "car tax" or "road tax", this is the annual tax drivers pay for their vehicle. This includes cars, vans, lorries or motorcycles. Vehicle identification number - every car is given this unique number. It helps identify the car when carrying out a history check. See also HPI check. Vehicle registration mark - the official term for a vehicle's number plate. The wheelbase refers to the distance between the centres of a car's front and rear wheels. Xenon headlights offer crisp, intensive bright light.